UPDATE: All Keys have been allocated. We hope you enjoy playing ArchAge! 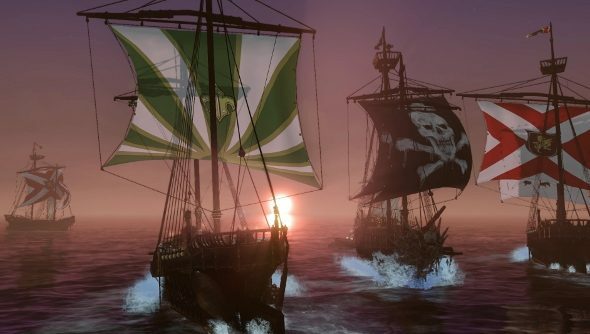 You may know of ArcheAge as the game where your crimes can end you up in a player-run court (one which is open to bribery), you may know it as the MMO that lets you own and sail a ship with your friends, or you might have heard of its pirate island where players are banished for robbing on the high seas. Whatever brought you here, know that we have 6,666 codes to giveaway for what could potentially be the most innovative MMO since EVE Online. As in Star Wars: Galaxies and EVE Online, players in ArcheAge are free to create their own roles. You can become a landowner and rent that land out to other players who can then farm it for produce to sell on a player-run market. You can build a ship, either something small that you can captain on your own, or something larger which a crew of your friends can pilot. The Korean MMO is packed full of ideas and the best way to get a grasp of them is to play. To that end we’ve got thousands of lovely codes to give away. Something to note before entering your details in the widget below is that these aren’t Steam codes. You’ll need to go to the ArcheAge’s account page to redeem your key. This giveaway is first come first serve so tell your friends (after you’ve claimed your own key, of course. Beta Codes are for Closed Beta Event 2 from 10am PDT July 30th through 10am PDT August 4th.